• Fruity Casa Casino Review - Decent Wagering Requirements? This Fruity casino from White Hat Gaming certainly hits you right between the eyes with its vibrant colour palette. This group has plenty of experience in the industry, as they operate a number of online casinos including PlayGrand Casino, 21 Prive Casino and GDay Casino. We all know the Casino Gorilla’s fruit of choice is the banana but give him a basket of fruit and he will demolish the lot. Let’s see what the big hairy ape makes of what is on offer from the bright and bubbly Fruity Casa Casino. What kind of welcome can new players expect from this ‘house of fruit’? Is it a peach of an offer or a rotten tomato? Well according to the Casino Gorilla, this is somewhere in between but closer to the peach than the tomato. The good news is the ten free spins you get for just signing up. After that your first deposit of £10 or more is matched by 100% up to £100, with another 20 free spins thrown in on top of that. The bonus and any winnings from the free spins must be wagered 35 times before they can be withdrawn. That may seem like a chunk of change, but as any regular casino player will tell you it is a lot friendlier than many welcome offers. The Casino Gorilla’s wallet is like an onion; he cries every time he opens it. Given that he doesn’t like to splash the cash, the free no-deposit spins on offer from Fruity Casa Casino are definitely a plus point. These are for the popular – and well-matched to this casino’s theme – Berryburst slot from NetEnt. After you make your first qualifying deposit of at least a tenner you will earn 20 more free spins, this time from the also appropriate Fruit Shop game. Like the bonus funds, winnings from free spins must be wagered 35 times in order to withdraw them and grab them quick because they expire 10 days after they are released. Code Shmode – you won’t need one of these to claim your welcome bonus from Fruity Casa. You won’t even need a code to take advantage of their weekly recharge bonus for existing players which happens when you fund your account by £20 or more on Mondays. Just make your deposit on that day (as an existing player) and you will be given between 10 and 50 free spins, depending on how big your deposit is. The live casino at Fruity Casa won’t let you down, as it has got plenty of different gaming options. Rather than offer 20 different versions of roulette or blackjack, this casino prefers to give less tables but a greater choice of which games to play. That means – yes, you get your blackjack, roulette and baccarat games, but that’s not all. There is also Caribbean stud poker, 3 Card Poker, Texas Hold ‘em, Dream Catcher and Football Studio. Fruity Casa Casino is more mobile than an apple or an orange in your pocket, since you can take it with you no matter where you go. Do people keep fruit in their pockets? Probably not, but you get the idea. Any modern smartphone or tablet will allow you to play your favourite games on the move. Online games are designed to be perfectly adaptable to the smaller screens of mobile device so you never need to feel anchored to your desktop when you play at this casino. The list of payment methods available at Fruity Casa is extensive, and includes Bank Wire Transfer, Maestro, MasterCard, Neteller, Paysafe Card, Ukash, Visa Electron, Visa, iDEAL, POLi, GiroPay, Trustly, Skrill and OchaPay, among others. Of course, which ones are available depends on where in the world you live. There are no withdrawal limits and plenty of currency options to choose from, including USD, CAD, EUR and GBP. Withdrawal times vary according to the method you use, with electronic wallets being the fastest. Fruity Casa Casino is fully licenced in both the UK and Malta, making it as safe as houses when it comes to player security. All your data is securely encrypted and will never be shared with third parties or used for anything other than verifying your identity. Also, the games on this site are regularly checked to make sure that they pay out correctly and fairly. The customer care team at Fruity Casa Casino operate around the clock, so if something about this site is driving you bananas then you can get in touch any time you want. Just go to the Support section and click the purple ‘support’ button to get them on live chat. Otherwise you can send an email if you don’t need an instant response. the terms and conditions on the site for the full list. For a fruit-munching monster like the Casino Gorilla, the Fruity Casa Casino hits the sweet spot. 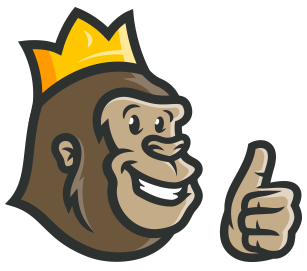 The big guy gives the big thumbs up to their very reasonable bonus wagering requirement and the excellent array of different providers whose games show up here. 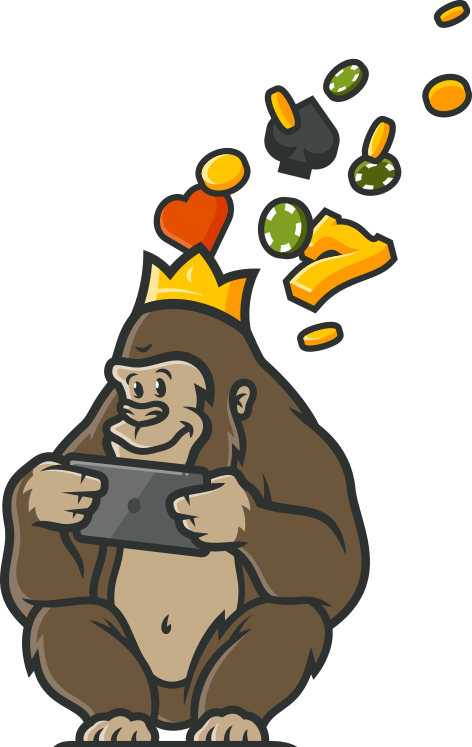 The Gorilla is most definitely a fan of this fruity casino and not just because of his well-documented love of bananas. The game selection alone at Fruity Casa makes it a tasty choice for real money casino gamers. The free spins drew me in, but the requirements are a let down. There are high wagering restrictions. I never did deposit, but have returned to play some of the free games offered. Nice selection of titles. A very fun casino both in experience and also in the design of the casino itself. I received a very generous welcome bonus from Fruity Casa on registering my account. One limitation - you cannot choose your currency that you want to pay in. it is locked to the country, I think this aspect could be made a bit more flexible.